We're going to California Adventure on Saturday to see the Lunar New Year festivities. 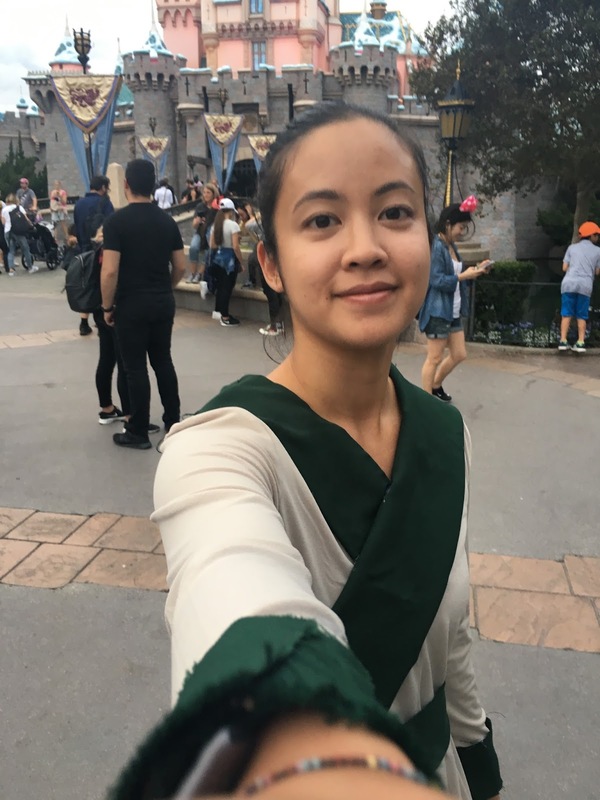 According to my Instagram, the last time I went to Disneyland was Halloween 2016. I mean, I get that, because that was really the peak Disneyland experience of my life. As a reminder, I was dressed as Ping from Mulan and Andrew was dressed as Shang. It was truly the best. We are now returning just to DCA to experience Lunar New Year in the park for the first time. Aka, Mulan and Mushu are rumored to be in the park and available for photographs. I find that when I plan out trips, I have the best experiences. For a Disney trip, the most important things to plan are your outfit, your food, and your instagrams. We are only going for one day, and only to DCA. I have already decided that I'm going to plan my entire outfit around the Minnie ears that Steven got me from Shanghai Disney. I also plan on buying the rose gold ears if they have them in stock. The high in Anaheim on Saturday is going to be 83. Being in the Bay Area for two months, I have no idea how to even dress for that weather anymore. Based on the coloring of the flower and details on the ears, I really want to wear a light pink sweater and a black skirt or black shorts. I don't really have any light pink tops though and it will probably be too hot for a sweater. I think the look I'm going for is full on cute asian girl. Like a cute Korean girl that plans her outfits out and looks polished. The winning look might be: white "Oh Boy" mickey sweater from primark, black jacquard shorts, pink APLs, and the shanghai Minnie ears. And the Adam Selman x Le Specs sunnies? That is going to be a real LOOK. But what bag? I fell in love with a backpack at the Coach outlet this last weekend but I unfortunately couldn't pull the trigger after balling out on a Theory suit. At the moment, I had decided I wanted that backpack more than the Clare V fanny pack, which makes me think I should not buy the fanny pack. Even though I wrote a whole post about it. So I need to just pick from the bags I already have. Plus I'm visiting LA for the weekend and planning on going to the airport straight from work, so I can't really bring too much excess stuff. Like, now I'm thinking I should bring my stuffed Winnie the Pooh backpack because that will fit into the whole cute girl look I'm going for, but I would have to stuff that in my duffel bag and sacrifice other items. Actually, I think my yellow Furla mini candy bag will work perfectly! Am I going to California Adventure just for the potential 'grams? Maybe. Partially. I do really want to see the Lunar New Year decor and I really want to see Mushu. 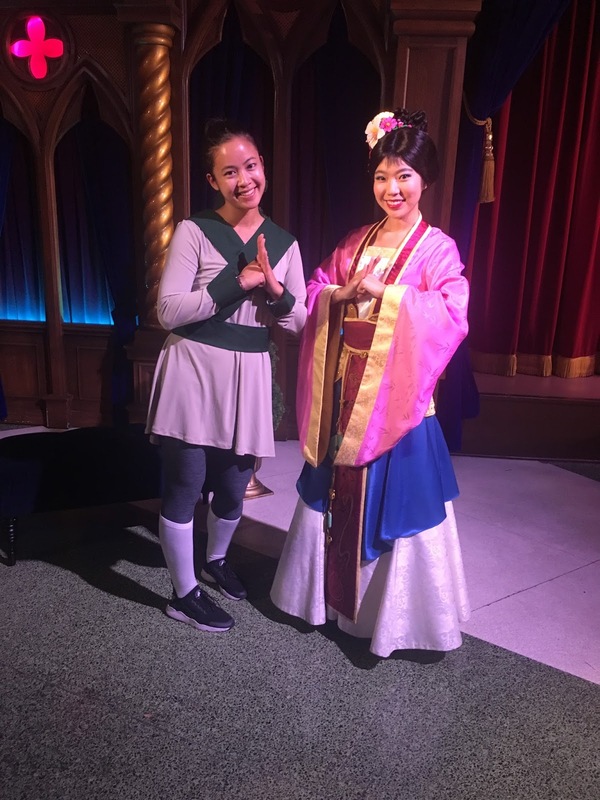 I've seen Mulan several times, and I even took a photo with her when I was dressed as Ping, and I didn't even post it! Me and Mushu, obviously. But what pose? It has to be KAWAII. Maybe just a peace sign? Peace sign and no smile with my FASHUN sunglasses? I'm into that. Scenery shot of some paper lanterns or whatever they have going on. Me in front of the lantern scenery doing a fashun pose (staring, no smiling) with my fashun sunglasses and outfit. Idk? One of the classic characters dressed in Asian garb? Like sure, hilarious and borderline racist, but also what is instagrammable about that. Close up of my new Rose Gold ears that I'm definitely going to buy. This was a good brainstorm. It was good for me to let out what I'm thinking about and also clue people in as to what I think is good instagram content for my own brand. Obviously, any pose with Mushu is going to get me the most likes, and any photo that I'm not in is going to get the least amount of likes. Captions are another story. I'm going to have to wait until I see the actual photos before I start wasting my brain energy on that. Okay, I'm officially excited about my trip! The only other thing is figuring out MaxPass and whether it's worth the extra $10 and whether I'm going to get to ride the new GOTG Tower of Terror ride or not.